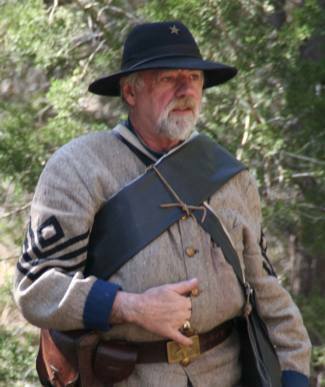 Scene 1 of HEALER was shot in Wimberley with the assistance of the Civil War reenacting & living history organization, The Alamo Rifles - Co. K, 6th Texas Infantry. These photographs were taken by Sharon Barlow. 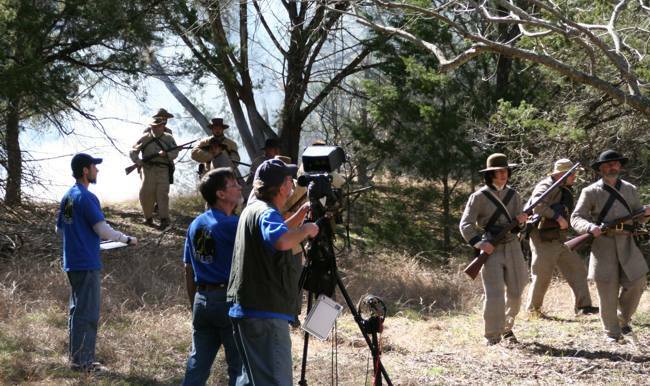 An article about the production appeared in the local newspaper, The Wimberley View. 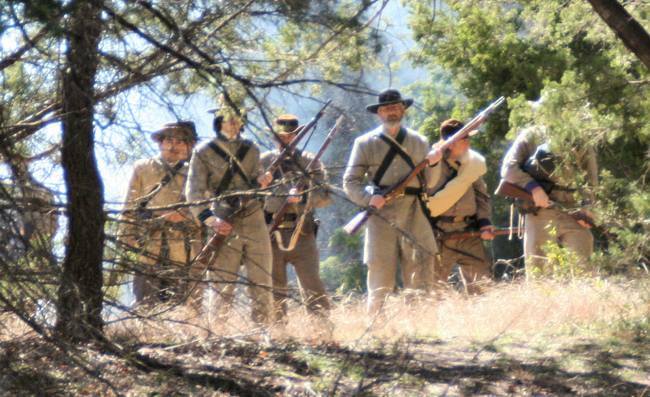 Soldiers coming through the fog of war (John Winkler featured in center). 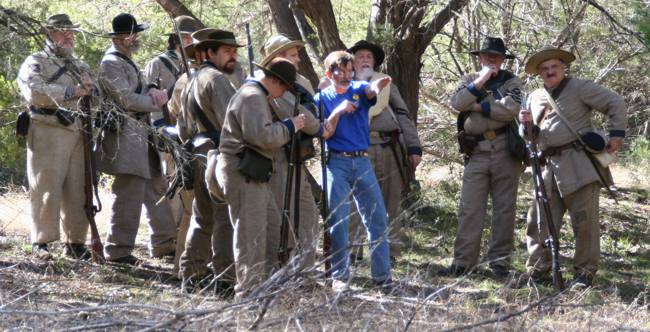 From left, Jimmy Stewart, Rodger Marion and Bruce Niebuhr with the soldiers of the Alamo Rifles in the background. 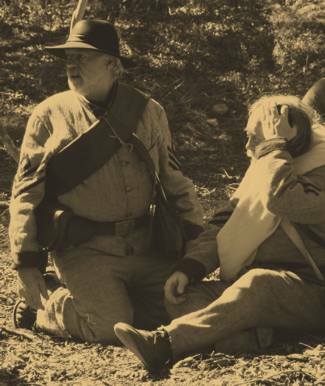 John Bostock, who plays Healer, dressed as a First Sergeant. John Bostock and Bubba Cheek.